In 1849 John Leech, the illustrator for A Christmas Carol, was injured. The accident left Leech with concussion-like symptoms that wouldn’t disappear despite all the work of his doctors. John Leech was an illustrator who provided the images for “A Christmas Carol”. Leech was in a great deal of pain and unable to rest. Dickens heard of the incident and rushed to his friend’s aid. Within a few days Leech’s condition had significantly improved. What could Dickens do that the doctors couldn’t? Dickens helped his friend via the use of mesmerism. Mesmerism was developed by Franz Anton Mesmer. It used hypnotic trances to heal people. In 1838 Dickens attended several lectures on the subject including some by John Elliotson. 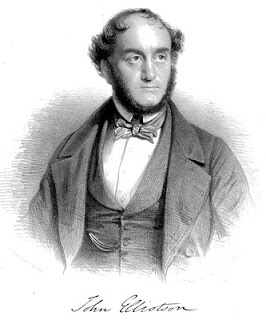 Elliotson was the professor of clinical medicine who introduced the stethoscope to England. He also had campaigned against corrupt medical practices. Despite his many accomplishments Elliotson was forced to resign his teaching position in 1839 because of a scandal regarding mesmerism. 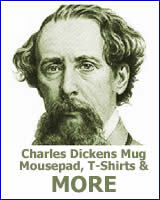 Despite the controversy Dickens was a believer in mesmerism. Elliotson taught Dickens the technique and it quickly became apparent that Dickens was skilled in this area. 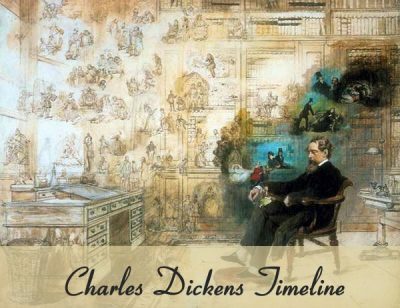 Initially Dickens mesmerized family and friends just for fun or to help with minor illnesses. However in late 1844 he took on a more serious case, that of Madame de la Rue. Augusta de la Rue suffered from extreme anxiety. It was so profound that it caused noticeable facial tics or spasms. Dickens was eager to help and during the next few months he treated her frequently. The treatments were effective. After a month Madame de la Rue showed much improvement. She was able to sleep and night and visibly looked more relaxed. Once the physical symptoms of Madame de la Rue eased Dickens became interested in their underlying causes. The sessions began to focus more on Madame de la Rue’s dreams, hallucinations and thoughts. She spoke of being pursued by a “phantom”. Their sessions became almost like those of a therapist and a patient. Eventually Dickens’s wife, Catherine, became uncomfortable with the frequency of the sessions and Dickens’s fascination with Madame de la Rue’s condition. 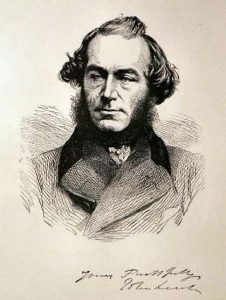 How exactly did mesmerism work? Perhaps it acted as a tranquilizer and promoted rest. At this point it’s hard to say. However the health of Leech and de la Rue did seem to improve after being treated by Dickens.